The "Birdsfoot Fern" Shawl is by Laura Patterson: "The lace portion of the scarf is knit back and forth starting with a provisional cast on of only five stitches, and growing to that portion's full width by increases worked into the lace. At the far end, decreases are worked until only five stitches remain, which are not bound off, but held to be worked later. The center portion of the scarf is worked in garter stitch, in short rows, eventually incorporating the five live stitches on each end. It's blocked into an attractive and easily wearable crescent shape that drapes well around the shoulders." Size US 6-40" needles (or size needed to obtain gauge) are required but not included. Finished Measurements: 11.75 x 50.5 inches; 30 x 128 cm after blocking. 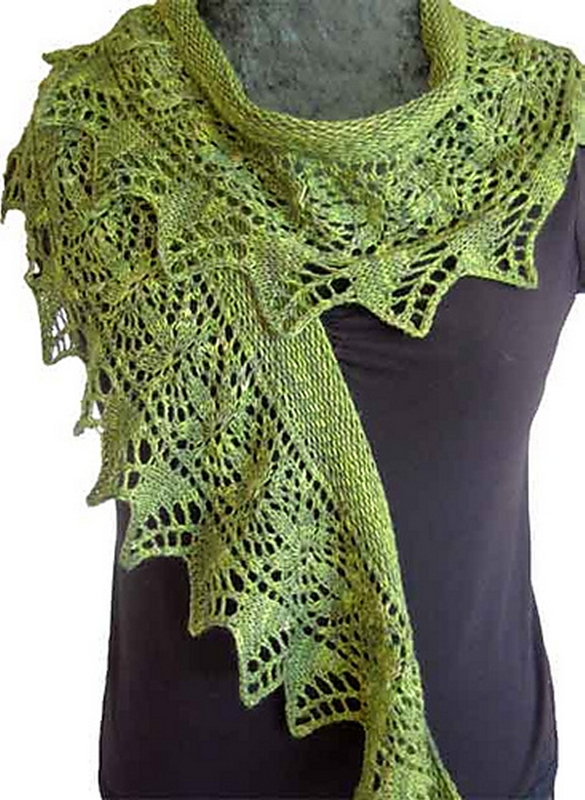 Gauge: 21.75 stitches and 19.25 rows = 4 inches in trefoil stitch, blocked. $58.00 -- Kit price including yarn only (no book or pattern). 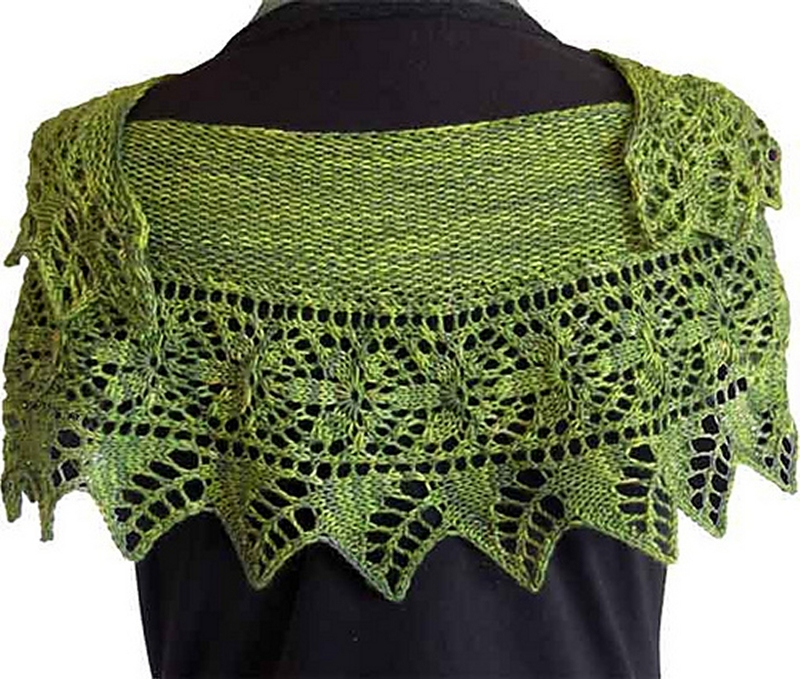 If you like the Mrs. Crosby Hat Box Birdsfoot Fern Shawl kit, then you may be interested in some other kits covered in our Spring, Summer, Fall, American-Made, and Shawls collections.